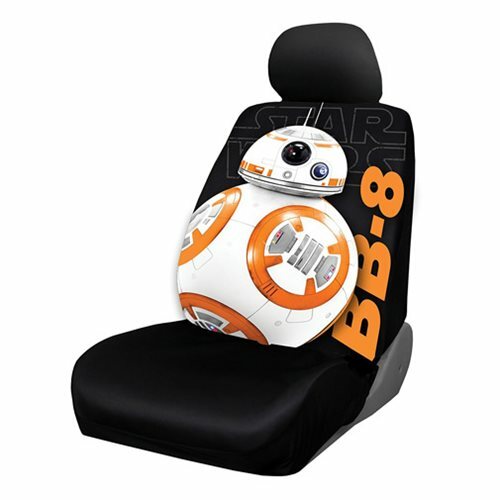 Take your favorite droid, BB-8 (sorry RD-D2 and C-3PO), with you on long drives with this Star Wars BB-8 Low Back Seat Cover. This seat cover from Plasticolor is an exciting and stylish accessory for your car. It will fit over most low-back bucket seats, making it compatible with a wide variety of vehicles. Constructed from polyester with a urethane foam backing, it feels as great as it looks! Use the elastic straps and hooks for easy and secure installation.